This watch a must have for every skull lover. This is one of the most attractive combinations of a multi-functional quartz watch. It's characterized by the hollow surface, with a unique design of a skull and crossbones. 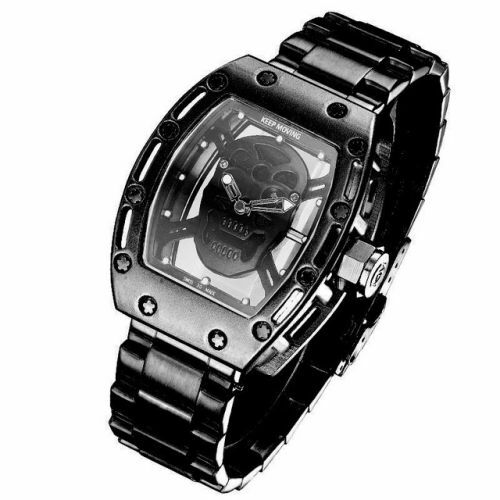 Perfect gift for the Badboy you know, this skull watch is very stylish and unique, will absolutely impress your friends, nowhere to find in stores!